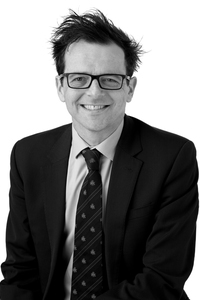 I specialise in advising independent schools and other charities on wide ranging areas of education law, with particular focus on reputation issues, pastoral, safeguarding, historic abuse allegations, exclusions, parent/pupil complaints, data protection, parent contracts, admissions and contentious and non-contentious employment/HR matters. I have written and spoken widely on these areas, providing comment in The Times, The Guardian, The Lawyer and Law Society’s Gazette and at BSA, ISBA and AGBIS training events. I am a member of the Institute of Directors, the Employment Lawyers’ Association and the Lawyers’ Christian Fellowship. I live with my wife and three children in West Sussex where I serve as a trustee of our local Parochial Church Council. Clients say, "Ben is outstanding - he is always calm, very helpful and able to respond to enquiries in a timely manner." "Solicitor Ben Collingwood is ‘thorough’ and ‘accommodating’".